Sheffield Move More Month is Coming! Move More partners from across Sheffield will play host to activities of all kinds in June to encourage you to get more active. 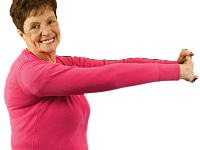 Meet some Move More people for inspiration and check out our Inclusive Exercise factsheet as well.